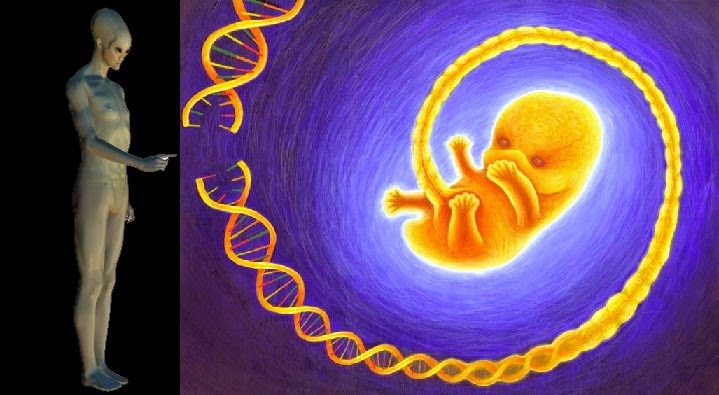 World Of UFO: Are Human the children of the Anunnaki? Are Human the children of the Anunnaki? The fundamental set of questions about our origin, purpose and destiny is the core of every religious movement on Earth. The different beliefs have proposed many explanations, but until we have an answer would be unwise to judge its validity. In short, theory says that these enlightened beings came to Earth about half a million years ago. Although his original intention was mine lands of precious mineral resources, eventually created the modern man through genetic engineering of Homo existing erectus. undoubtedly controversial theory has attracted a fair share of animosity. at the same time, millions of people find it fascinating and believe it provides large amounts of evidence to support himself. the theory aired in the 1970s by the Soviet-American Zecharia Sitchin author in his book the 12th Planet and developed in subsequent publications. During the 1950s and 60s, Sitchin became interested in Sumerian cuneiform and began to visit archaeological sites. I was impressed with advanced knowledge, the ancient Sumerians cosmology and cosmogony and was impressed by the relatively sudden appearance of their society well developed. in all truthfulness, the Sumerians the marshy shores of eastern Saudi settled about 6,000 years ago somewhere and little about their origins are known. also had advanced mathematics, astronomy and social notions at a time when other cultures lacked. This led him to believe Sitchin his knowledge had been given to them by an advanced entity or group of entities. Sitchin dug more and found what he was looking at the Enuma Elish, the Babylonian epic of creation. Discovered in 1849 in the ruins of the library of Ashurbanipal in Nineveh (Iraq), the text written in seven clay tablets provides a detailed description of the formation of our solar system. of according to Epic, Apsu (the Sun) was the first to form and was joined by his messenger, Mercury or Mummu, as the Sumerians called. the next celestial body to appear was Tiamat, which has no correspondent in the solar system today, as it was finally destroyed in a cataclysmic impact that is essential for our creation. the text also describes Venus (Lahamu) and Mars (Lahmu), orbiting between the Sun and Tiamat, followed by four more :. Kishar, Anshar, Anu and Nudimmud, respectively, Jupiter, Saturn, Uranus and Neptune, it is worth noting that at the time, no civilization became aware of more than five nearby astronomical bodies and the distant planets Uranus and Neptune only discovered in the 18th and 19th century in the young and unstable solar system, the newly formed planets exerted strong gravitational tugs from each other and some of them developed satellites. Tiamat, for example, had eleven of them. the presence of multiple satellites orbiting a planet would not be tested until 1609, when Galileo discovered four largest moons of Jupiter. then the Enuma Elish describes how a rogue planet, "he was not born in the family of Apsu" directed outside the solar system. This nomad had been wandering the cold vacuum for millions of years, separated by the original star. as soon as I arrived here, I started making a mess of things. Sitchin hypothesis of this planet is responsible for the tilt of Uranus and making the Neptune 's moon Triton began to turn in a retrograde orbit. it is also responsible for the interruption of Pluto's orbit around one of the largest and turn it into a planetoid with a strange orbit planets invaded then the planet, establezcio its course Tiamat, engaging in a " celestial battle " as the Enuma Elish gets. Tiamat was struck by satellites wandering planet until it is divided into two halves. One of them became the asteroid belt. the other set . into a new orbit and luck to get more satellite Tiamat orbiting around we call this planet of origin, as is Earth. the first of these cuneiform tablets was discovered in the early 20th century by the German specialist Hermann Hilprecht in the ruins of one of the oldest Sumerian cities, Nippur. Several others soon were found and when it was rebuilt, painted a very interesting and unusual picture. the list of the Kings occupies mythical past of Sumer to say that the origin of the royalty is divine by nature and had " come down from heaven." Appoints eight great antediluvian kings who reigned for a total period of 241.200 years between the time of landing until the great flood swept the earth. All these rulers are mythical and unconfirmed and each ruled over a period of time much longer than the useful life of any human being. for example, the first two kings ruled for 64,800 years in the city of Eridu. Interestingly, each of the reigns of these mythical king is divisible by 3,600, the exact number of years took Nibiru to complete one orbit around Sun and therefore walk past our planet. Authors like Sitchin consider this a crucial aspect that demonstrates the relationship between the Anunnaki on Earth and its original civilization Nibiru. While some believe that these figures are an exaggeration, intended to emphasize the right of the Sumerians to rule, others consider list of Kings an accurate account of the actual events that occurred on Earth before the dawn of humanity. if you liked the post share so that more people know how was our real origin and do not forget to click on the ads, each click you make are 0.01 cent going towards a non-profit organization fighting cancer, it costs nothing to wait a few seconds can help so others can have a little more life thanks the rogue planet is none other than Nibiru . During the celestial battle, Nibiru - "Planet of the Crossing" passed the "seed of life" to Earth. in this way, through destruction, creation gave birth. the text does not specify where Nibiru wine. Interestingly, modern astronomy is no stranger the panspemia , a concept that says life on Earth may have originated elsewhere in the universe and was taken there by asteroids, comets or even rogue planets. There are microorganisms on Earth that could theoretically survive a trip through space lasting tens of thousands, perhaps millions of years. Therefore, it is logical to think that life on Earth may have originated elsewhere. The fact that such an advanced cosmogony had been written on clay tablets of ancient Sumer proving to be fascinating to Sitchin. The p rogresos in their knowledge of the cosmos is a turning point in his theory of the Sumerians and the Anunnaki point. Sitchin believes that the "sons of Anu" had witnessed these events firsthand and had handed them his elect from Sumer, because there was no way the Sumerians could have found out on their own. children of the Anunnaki According to Sitchin's interpretation of ancient myths of the Sumerian creation, the invading planet Nibiru reformed the solar system and played a crucial role in the creation of the Earth. according to these myths, single - celled organisms primitive were "planted" on Earth and Sitchin the theory that all life forms evolved from these "seeds." life on Earth evolved by itself to about half a million years ago. at that time, the most advanced hominid was Homo erectus. Almost simultaneously, the Anunnaki "came down from heaven." we could assume that at the time, peopled Nibiru, which had installed in an elliptical orbit 3,600 years around the Sun. the Sumerians called this length of time a "shar". according to several authors, the passage of Nibiru by Earth at regular intervals was the cause of many disasters, including great Flood mentioned by many cultures around the world. While the reason for his visit to Earth is clear, the purpose most commonly indicated seemed to be interested in extracting natural resources of our planet. they showed a greater interest in reserves gold of our planet . we can only speculate why, but this seems to be on par with our own fascination for the precious metal.